Chanukah is near, Chanukah is near. 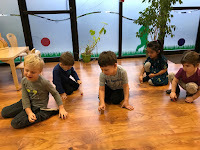 Morah Tzivie shared some exciting items with us this week. Colette: I have one at home. 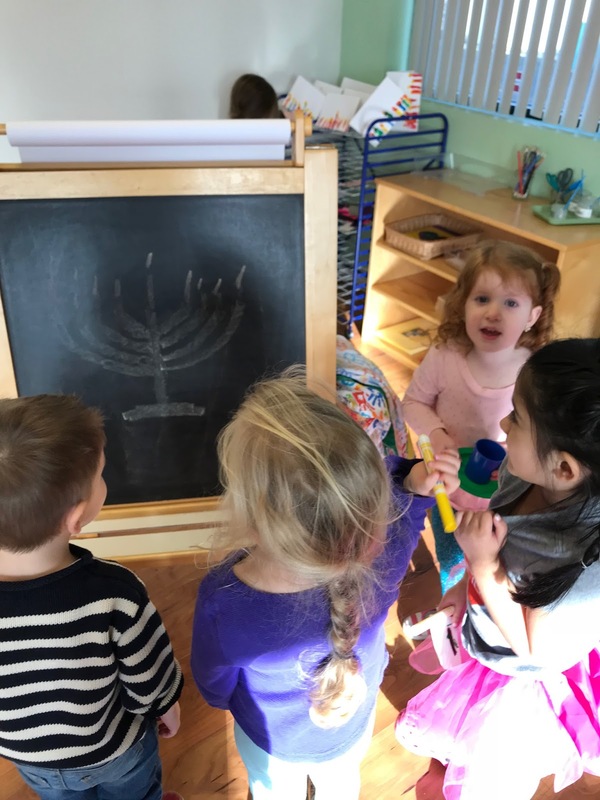 Morah Tzivie: Which holiday do we use the menorah for? 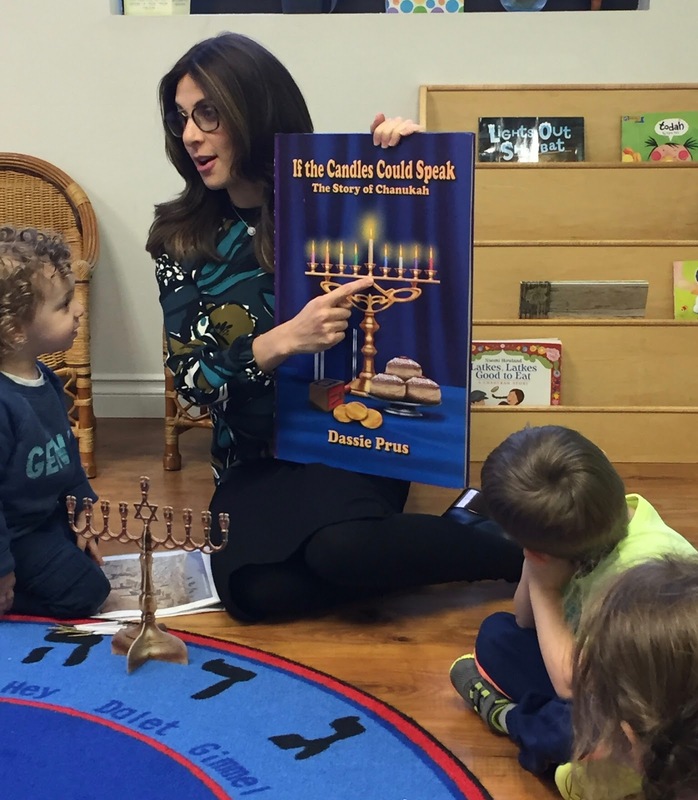 Morah Tzivie: What mitzvah do we do on Chanukah? 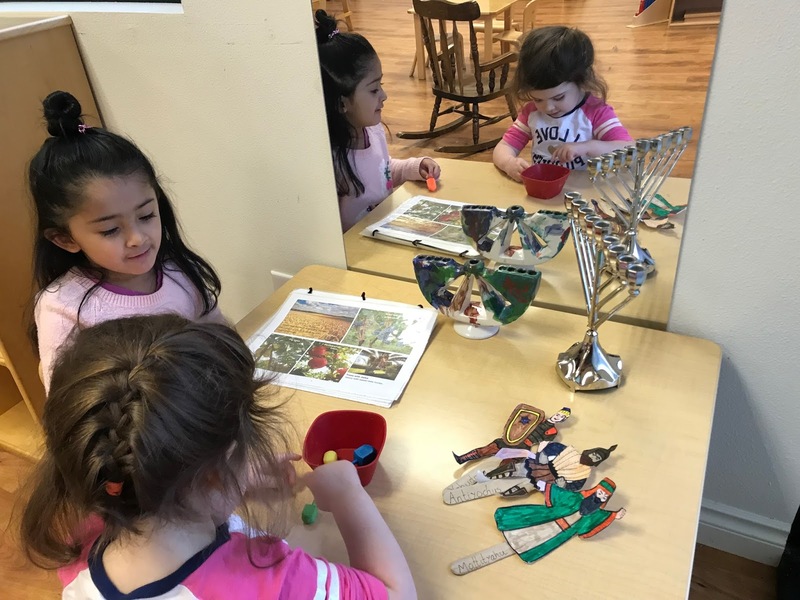 Morah Tzivie: How many candles can the menorah hold? 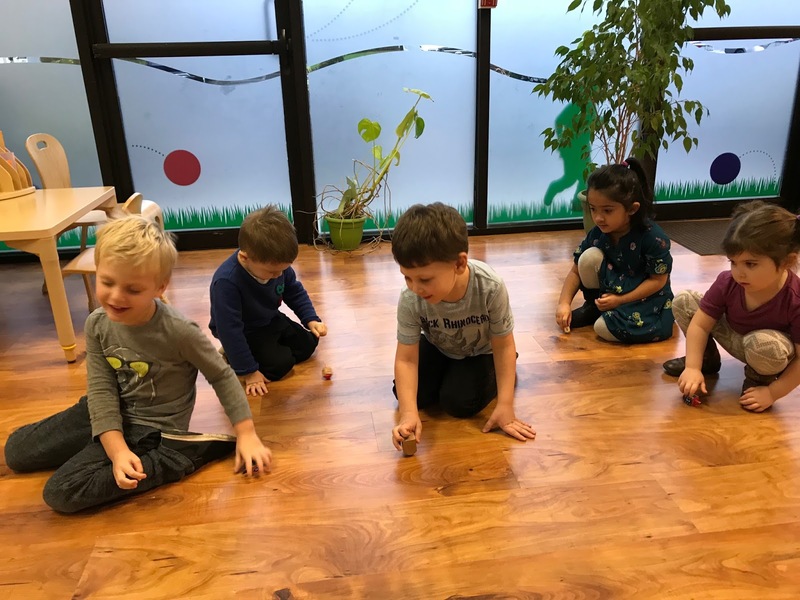 Morah Tzivie: Let's count together. See this guy, the tall one? We don't count him. He is helper candle. He lights the candles. Everyone: 1, 2, 3, 4, 5, 6, 7, 8. 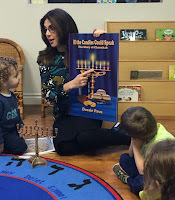 Morah Tzivie: What is the tall candle called? 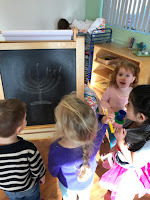 Morah Tzivie shared the Chanukah story. 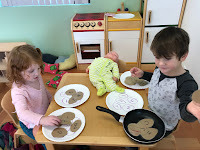 The children explored the story with Chanukah toys and activities. Morah Katie: What I should expect to see and experience if I travel back in time to Jerusalem during the time when Judah Maccabee lived? Maya: Soldiers are saying no mitzvahs, no shabbat. 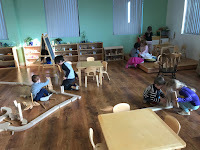 Lochlan: All the learning places are closed. Matan: Judah Maccabee told the Jews to stand up for what's right. Morah Katie: But the army looks pretty big. Maya: The Jewish people hid in caves. 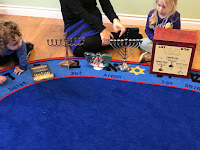 The kids studied Torah and played dreidel to trick the soldiers. 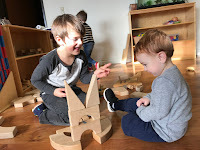 Morah Katie: Are you trying to tell me if the Jewish kids can be brave, maybe if I go back in time and join the Maccabee's I should be brave too? Morah Katie: Ok, I'll take Judah Maccabee's advice and stand up for what's right. Tell me what happens next. Matan: The Greeks get chased away! 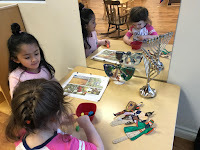 Maya: Hashem made it and they go to the temple and it's a mess! Lochlan: And there was no olive oil. Moshe: One! One! Right there! Colette: Just for one day. 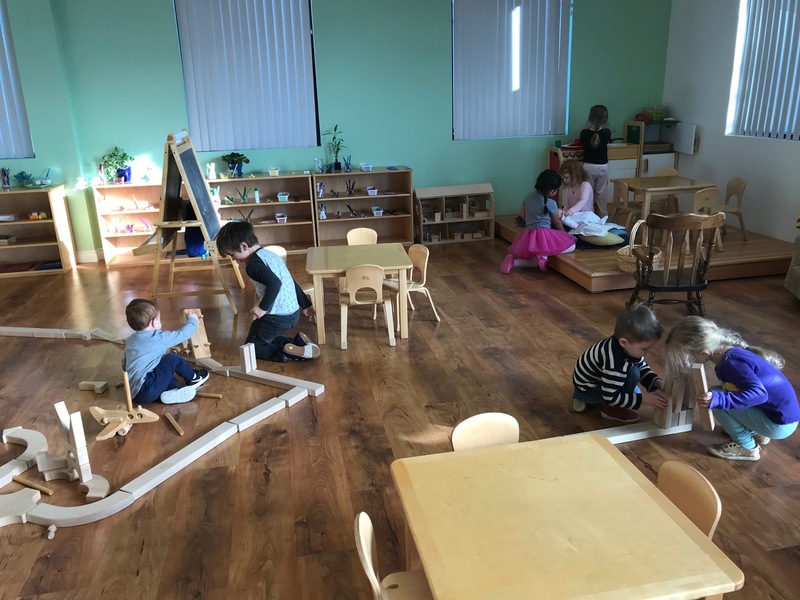 Matan: They had to go so far to get more. Colette: It would take eight days. But the one lasted! Morah Katie: Such a great miracle. 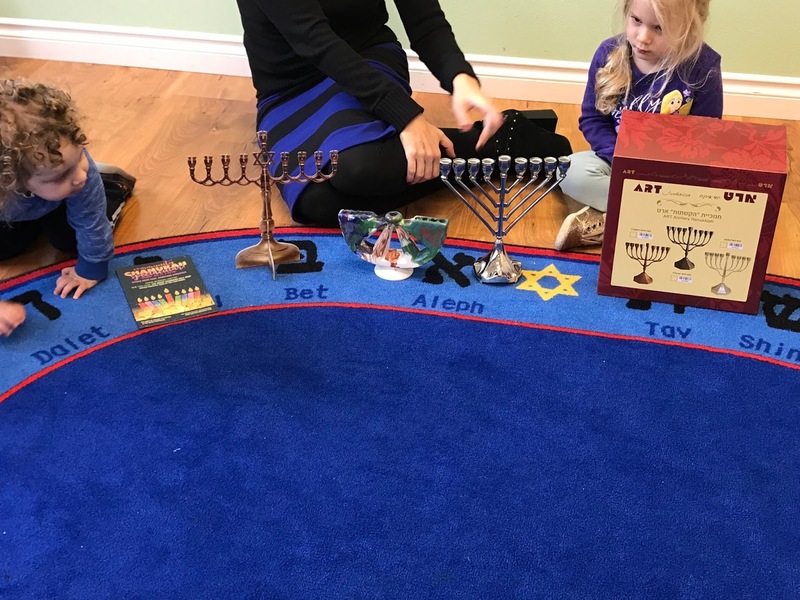 Morah Tzivie and the children pretended to be the brave Jewish children from the Chanukah story. Fortunately, we can sing with the Torah loudly and proudly.